Nearly 30 projects spread across 18 different counties will share $515,000 in local funding to push forward trail enhancement projects and connections along Michigan’s Iron Belle Trail. In an effort to leverage funding to advance progress toward completion of this statewide trail, the Michigan Department of Natural Resources has awarded $515,000 in local funding to 28 communities to help develop and enhance it. Funded projects were eligible to receive up to $30,000 for trail enhancement projects including feasibility studies, preliminary construction, engineering of new trail segments, signage for trail segments and trailheads, environmental impact studies and other uses. For this round of funding, the DNR received 56 applications. Michigan’s Iron Belle Trail is the longest state-designated trail in the nation, encompassing more than 2,000 miles of of hiking and biking routes, allowing users to explore pristine forests and cool rivers while connecting big cities to smaller and diverse towns. The trail extends from Belle Isle in Detroit to Ironwood in Michigan’s western Upper Peninsula. The trail is slated to span 2,019 miles. It is approximately 68 percent completed. This is the fourth year the DNR has issued grants specifically for Iron Belle Trail development. The department awarded $250,000 in 2015, $350,000 in 2016 and $350,000 in 2017 for a variety of projects, many of which have been completed or are nearing completion. One of the projects funded is signage for the Falling Waters Trail, south of Jackson. 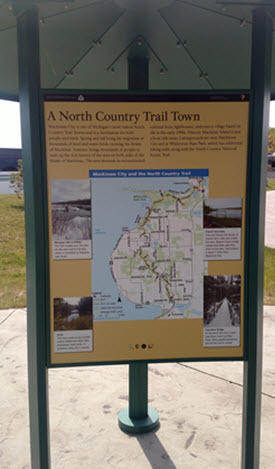 With the money awarded, local trail officials will put up wayfinding signs and trailhead signs. 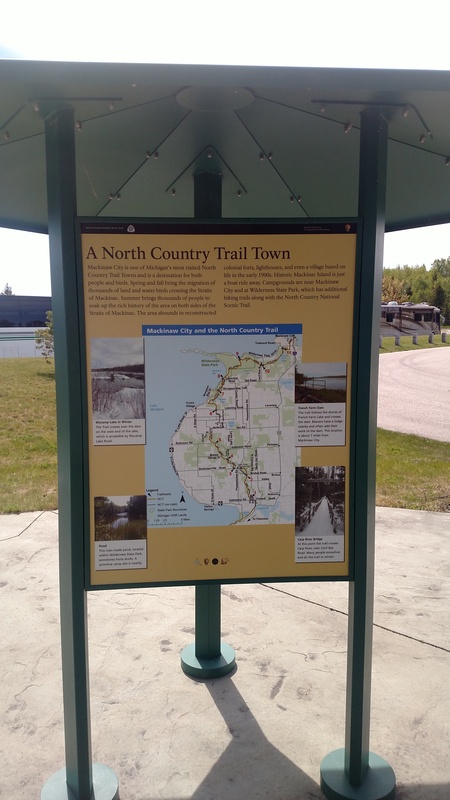 It’s one of several grants awarded for signs that Yauk said will help increase the statewide visibility of the Iron Belle Trail, which passes through 48 Michigan counties and more than 170 parks, forests and public spaces. Discover more about the Iron Belle Trail at www.michigan.gov/ironbelle. /Note to editors: An accompanying photo, the Iron Belle Trail logo and a map showing the locations of this year's grant recipients are available below for download. Photo caption information follows.